In today’s Student Spotlight, we’re talking to Elizabeth Bartra, a BFA Visual Merchandising student who has spent her summer in NYC interning at the J.Crew headquarters. She’s working with J. Crew’s younger sibling, Madewell, on everything from visuals and assortment planning to color stories for the upcoming season. Read on to hear more about her amazing experience and what she’s learned along the way! How did you land such an amazing internship? I started working at J. Crew my sophomore year and had heard about the internship program, but I couldn’t apply at the time because I was a year to young. 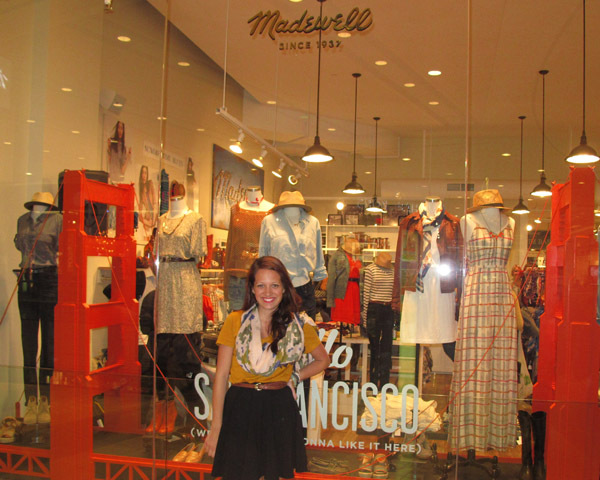 I became the Merchandiser’s Assistant and part of the visual team and when Madewell opened a year later, I helped open their San Francisco store and stayed on as the store’s visual associate. Deep down I’d always wanted to work in a corporate environment, so I made it my goal to apply for the internship to learn the things I couldn’t in the store. My superiors recommended me, at which point I had a phone interview, and then was flown to NY for a day of interviewing. It was really 2 years of hard work and commitment that got me to New York. Unexpected. I went through orientation, met my manager and within minutes was taken to a studio walkthrough of the store windows and mannequins for the Fall ’12 collection. The who’s who of Madewell was there and I was a bit star struck to say the least. What are your major duties/tasks? I assist the buyers at Madewell for wovens and non-apparel. We’re still a growing company, so interns are responsible for all things merchandising. My days range from sorting samples for upcoming seasons, to taking notes at a fitting, to looking at the new website, to creating the “life” of an item (aka, the SKU, style number, color code, cost, etc). Everyday is something different. What has been your favorite aspect of the internship? Being constantly surprised. 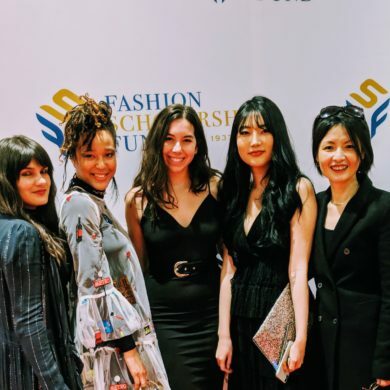 My perception of the company has changed so much; designers, merchants, stylists, executives, assistants, photographers, and entry-level employees all work together. There’s a crazy sense of community in such a prestigious place – it was eye opening. What have you learned over the summer? Work hard. Love what you do. Stay in school! All things that I already knew, but experienced in such a different light. What have you loved most about NYC? There’s literally always something to do/see/visit. What has been you most memorable experience? What are you looking forward to next semester? Being one step closer to graduating! For more Student Spotlights, click here.